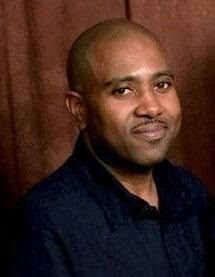 Mr. Clarence Fredrick Smith, age 49 of 824 Bellingham Way Fayetteville NC departed this life on April 15, 2019. Funeral Services will be held on Saturday, April 20th at 3:00 PM in the Wiseman Mortuary Chapel. Burial: McLaurin Family Cemetery. He survived by: parents: Billy and Annie Smith; wife, Towanda Bryant; sons, Adrian and Ephrium Bryant; daughter, Brianna Bryant; brothers, Billy C. Smith Jr. (Edna); two grandchildren and a host of other relatives and friends. There will be a viewing on Friday from 2:00 PM to 7:00 PM; the family will receive friends Friday from 5:00 PM to 7:00 PM at the funeral home.